REMOTE is an interactive live game interrogating the politics of choice, and decision-making in an immaterial world, saturated with technology. This is a piece of game-theatre that you play sitting down, and its entirely led by you, the audience. Fusing an interactive script with a live and responsive sound design – REMOTE is a mechanical theatre game. It’s 2017, and we’re a room full of mostly strangers, imagining the future. REMOTE is touring the UK from 27 September to 19 November 2017; click the links below to book your tickets and join us in imagining the future. Click here to see the original creative team. 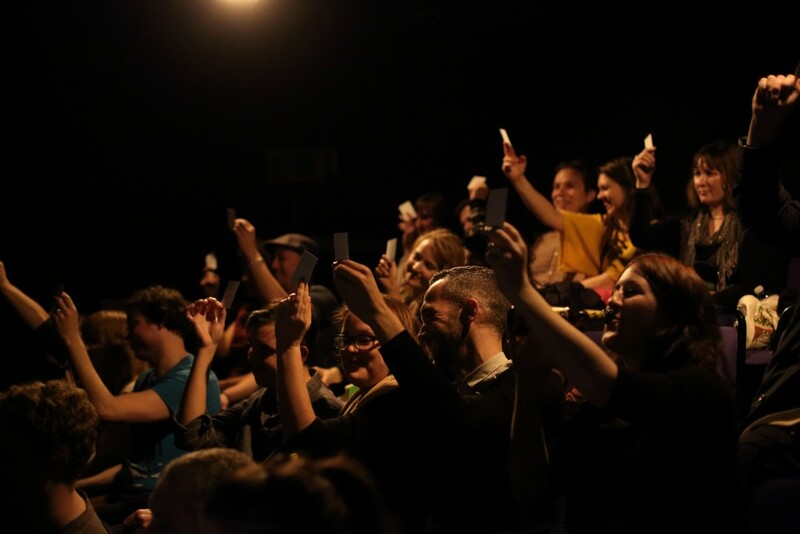 REMOTE was originally commissioned by Theatre in the Mill, supported by Camden People’s Theatre, and developed through scratch and residency at CPT, BAC, MAKE Ireland, University of Exeter, and Theatre in the Mill.